When an avid hiker got lost in the mountains of Gimmelwald, Switzerland, he wasn’t sure what to do. To make matters worse, the hiker, who goes by Sc4s2g on Reddit, had sprained his ankle the week before. At one point the hiker came across a small town, but it was deserted, with no one there to help him. 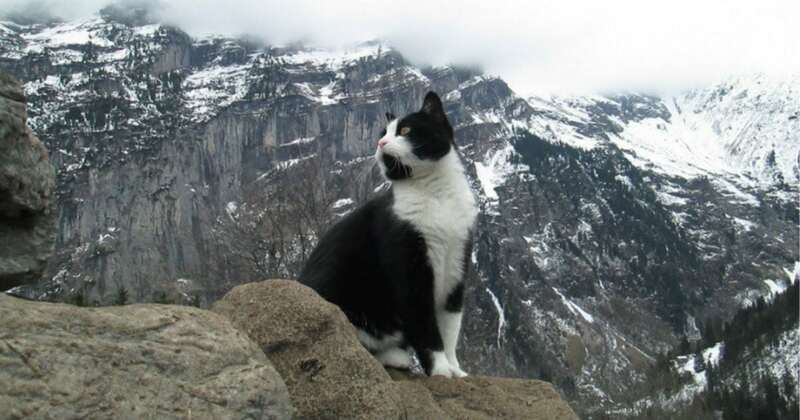 The hiker needed help to get off the mountain, and luckily someone surprising came for him: a sweet black and white cat. The cat came up to the hiker while he was eating lunch and sat down with him. Then, once the hiker stood up, the cat started guiding him down the mountain. Every time the hiker stopped, the cat would also stop and look back at him. The hiker quickly realized the cat was trying to lead him somewhere! The cat and the hiker continued down the mountain for a while, with the hiker chatting with the cat in his native Hungarian. The cat didn’t respond, but she seemed to enjoy the man’s small talk. 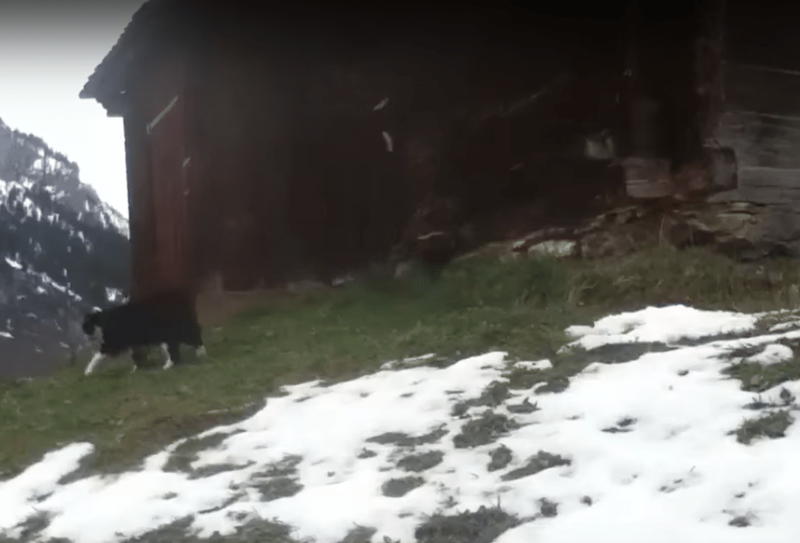 Eventually, the hiker and his cat companion came across a small cabin. The cat stopped there, leading the hiker to believe this was her home. The hiker and the cat hung out for a little while longer, and the hiker took a few pictures of his new cat friend. Then, the hiker said goodbye to the cat and started following the trail that was next to the cabin. It turned out, the cat had led him the right way—the trail took him to the bottom of the mountain! The hiker posted a photo of the cute cat on Reddit, and it quickly received tons of points. Everyone loved hearing the story of this heroic cat! 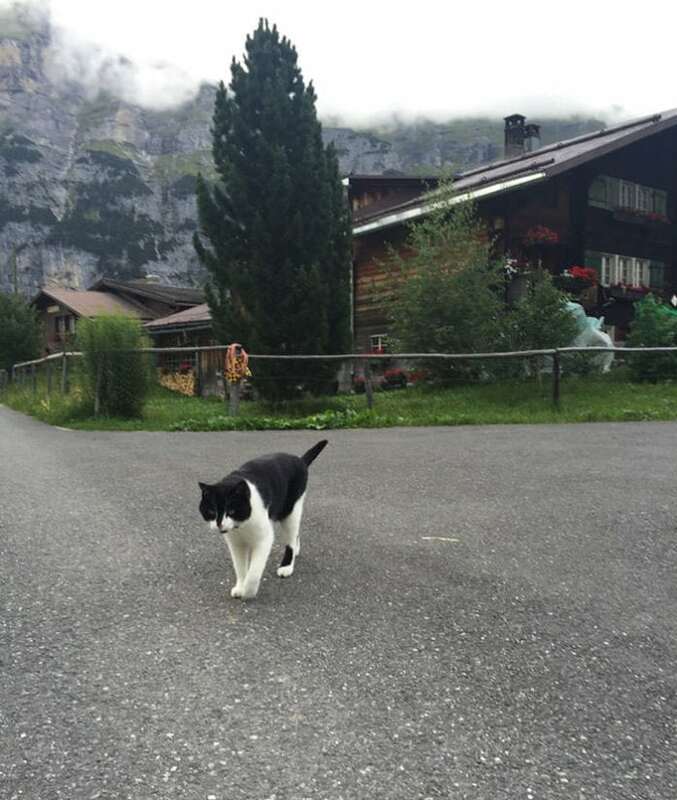 “We just met this cat a couple of days ago in Gimmelwald. I agree – most beautiful place I’ve ever been (and we live in the Rockies!). 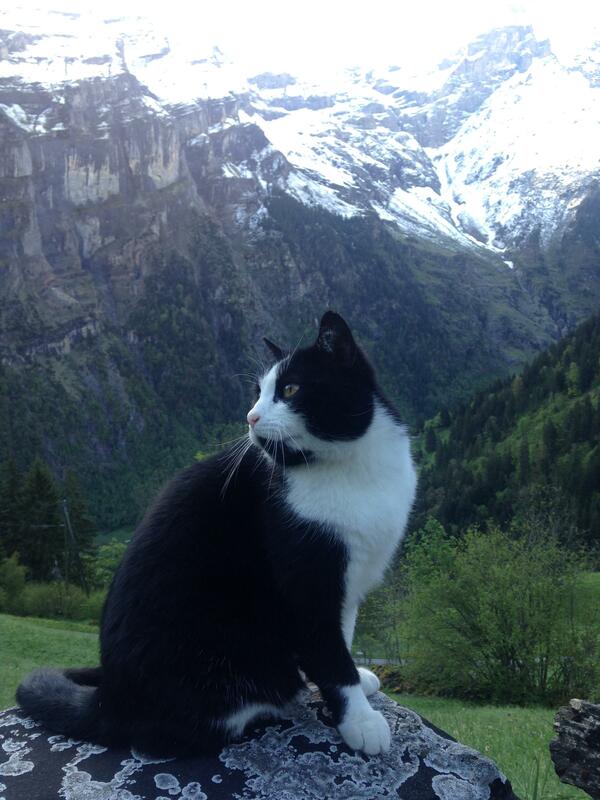 Then, another Redditor also said they had encountered the cat during their hiking trip. They took a great picture of the sweet cat sitting on a rock. 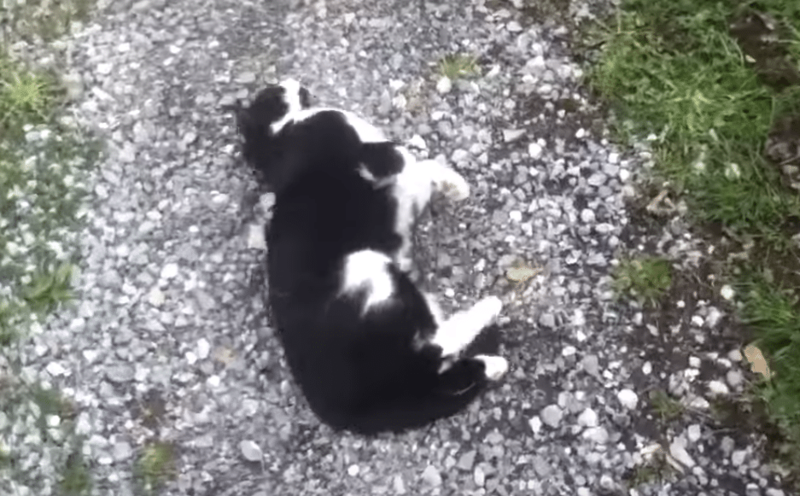 This sweet cat clearly loves helping hikers who happen to pass by her home! 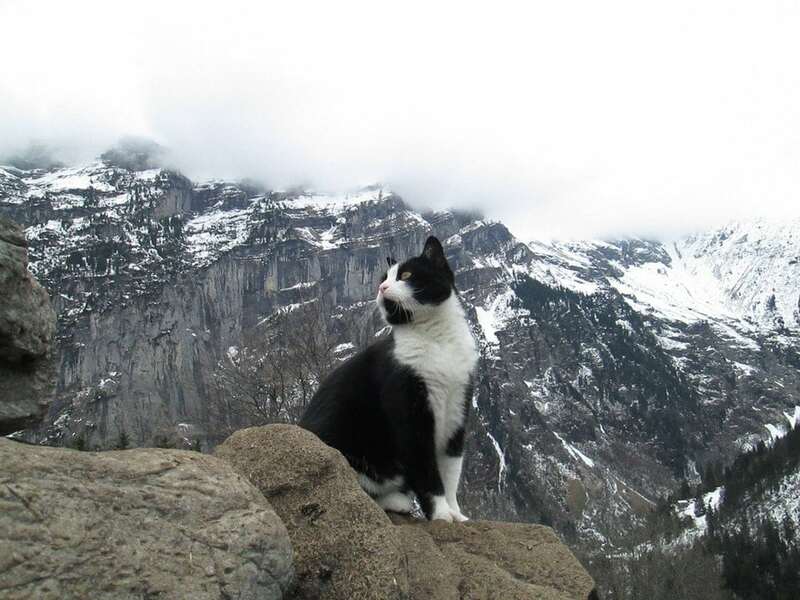 We’re so glad this cat was there to help a lost hiker find his way back to the village where he was staying. 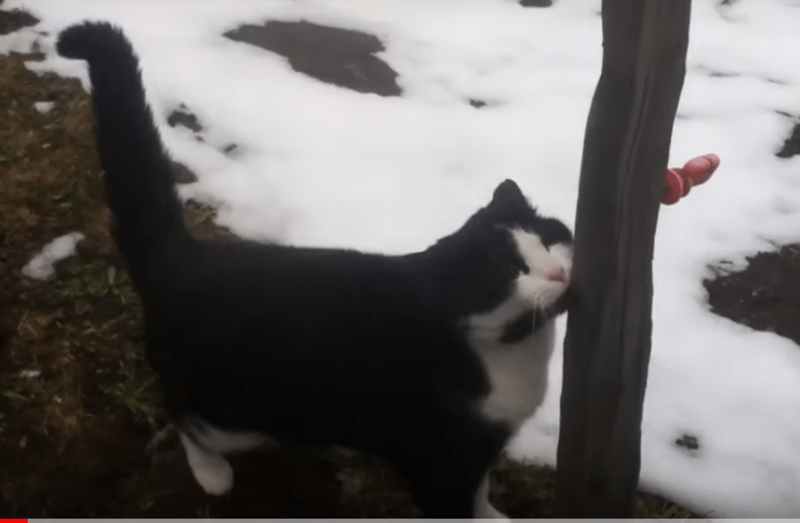 If you’d like to see the hiker’s encounter with the friendly cat, check out the video below.